Smart Gardening is all you need for gardening success! You'll soon find that this clear and encouraging book will become your ultimate onestop reference to growing your own food. 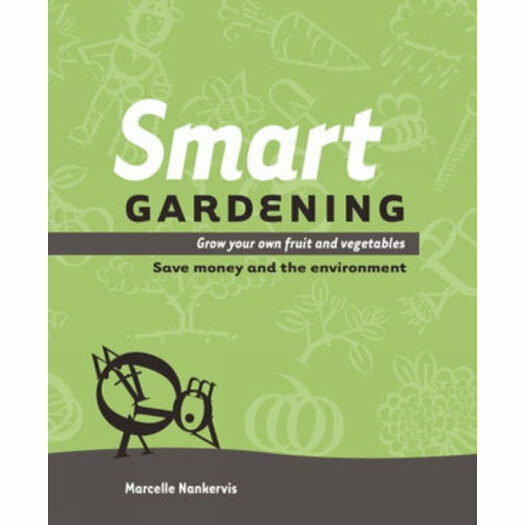 Written for the southern hemisphere, it is designed for anyone who wants to harvest their own fruit and vegetables and generally live a more sustainable life. Whether your home is in the hot tropics or the cool mountains, you'll find everything you need to know to start gardening for the future: reducing your global footprint while also saving money. The handy monthly reference guide takes the guesswork out of when to plant and when to harvest, ensuring that you receive a constant supply of fresh organic produce from your garden, no matter what its size. Marcelle Nankervis was raised on a small farm where her family grew their own produce and used permaculture without even realising they were. This developed a love of gardening that led to Marcelle obtaining a degree in Horticulture. Since graduating, she has worked in the horticultural media for over sixteen years, including on such notable TV programs and magazines as Burke's Backyard, Better Homes & Gardens and Your Garden. Having lived and worked in several climates around Australia, Marcelle has a passion for gardening for the future and making it really easy for everyone to get involved. This is her second book.